I’m pretty sure I’ve done this title before.. anyway, yes, I’m ill. Turns out I did call it yesterday and woke up today feeling rubbish, and was in bed all day being looked after by the lovely Sue! This was the only photo I took, when I remembered I needed one for my blog. I’ve been craving fast food all day, but haven’t had an appetite weird I know. Can you guess why I’ve been craving it? 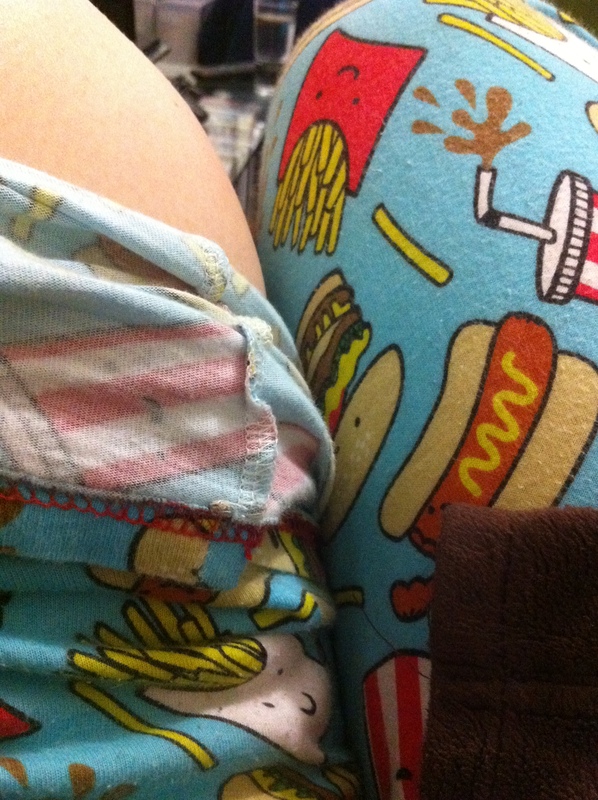 Awesome PJ’s.